Wedding flower package; we have always disliked this term wedding flower ‘package’ as it seems to imply a sub-quality of product or service. 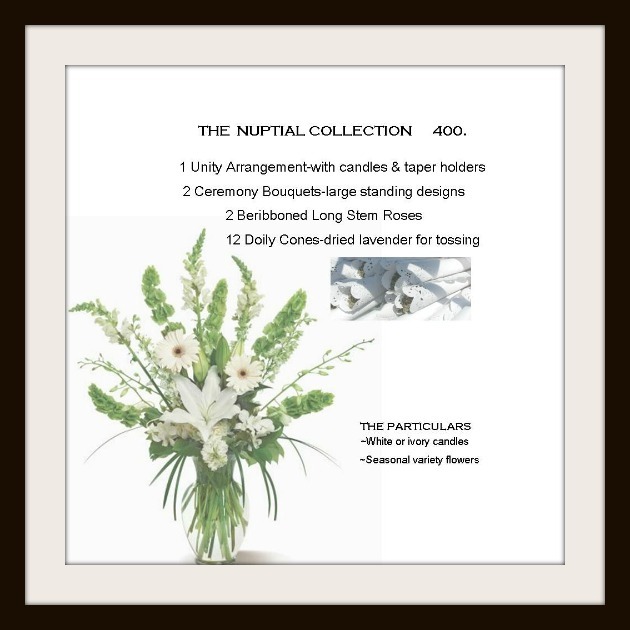 Indeed it may surely mean less of something; however we prefer to think of it as a wedding flower “collection of items at a set price” as we do not have any sub quality product or pricing. Does it exist? Absolutely; just as Wal-Mart versus Tiffany does-but we do not offer it. We believe you should get what you pay for and if you wanted inexpensive quality, you know where to find it. 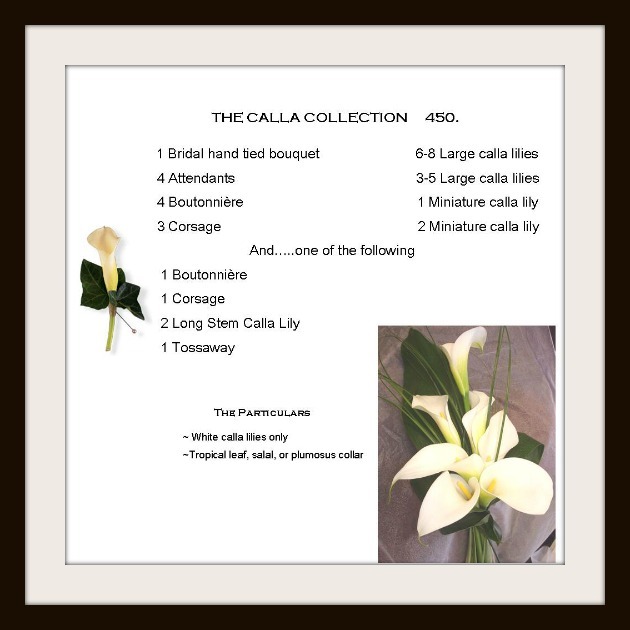 Our wedding flower Collections use the same high quality flowers & accessories that you would receive out of the Collection. 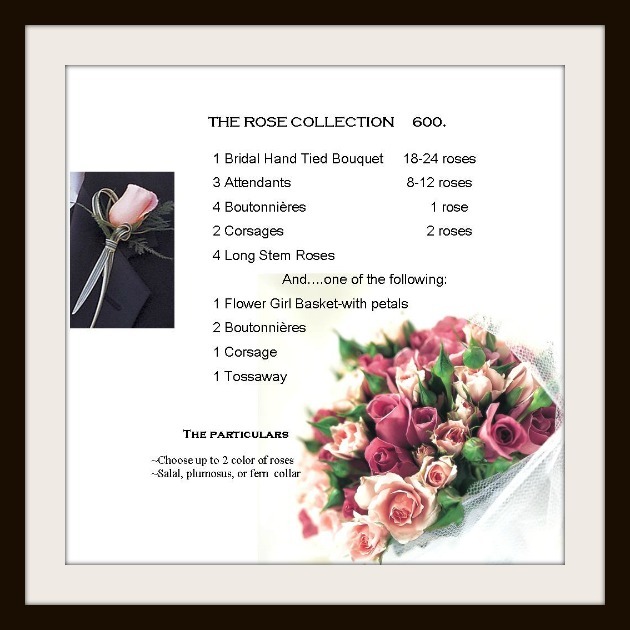 The pricing is a bit less for two reasons, 1-we can order one or two varieties in quantity for your entire affair instead of multiple varieties incurring extra costs. 2– the designs chosen are the least labor intensive thus saving time in designing. 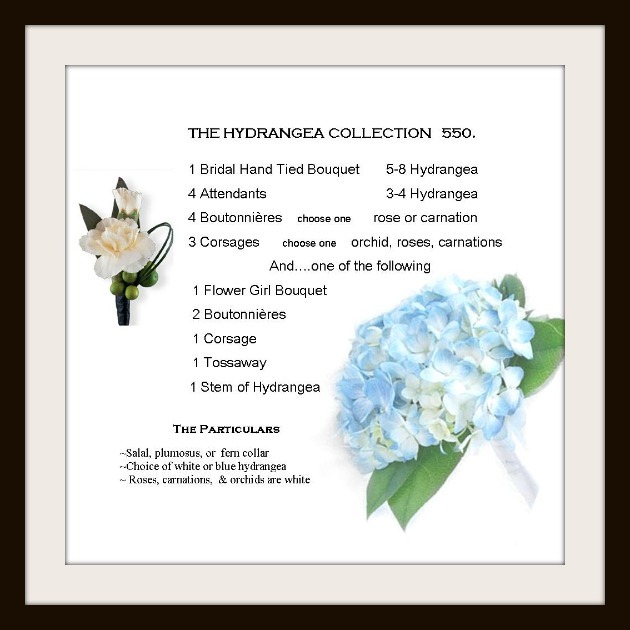 Don’t be hesitant, as our wedding flower Collections are a convenience for us and a service for you. 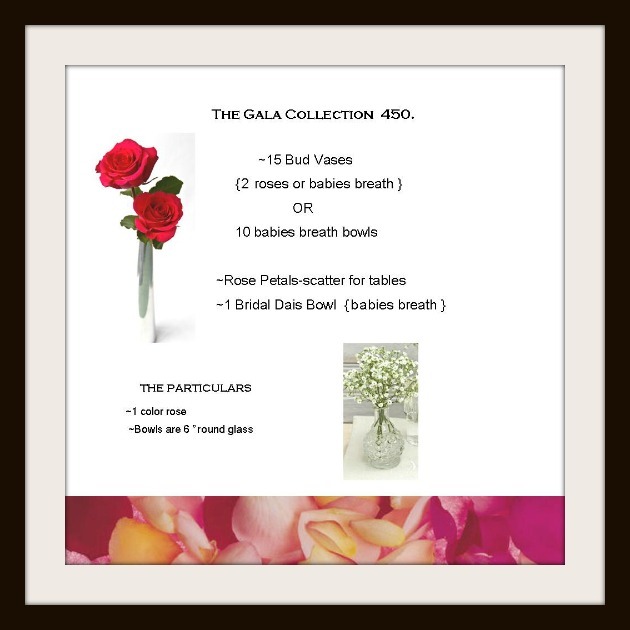 In fact, they are so convenient, they may be ordered over the telephone-perfect for a busy Bride! 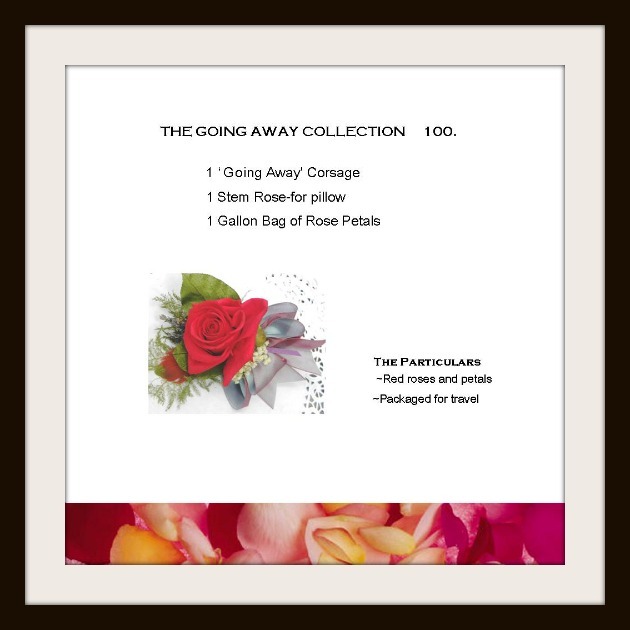 The various collections accommodate for personal flowers, ceremony, reception & decor, and the traditions of going away. There are of course certain restrictions and possible additional fees, but you have the option to choose them for yourself. Extra items and services can always be purchased ala carte.